We are glad to announce we cross 5 years since we started our Investment Service. 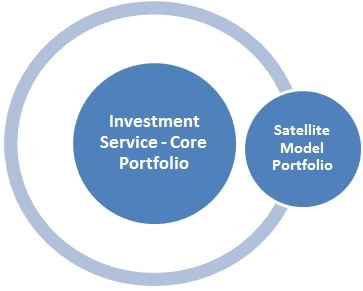 On this occasion, we are proud to launch a new service – The Satellite Model Portfolio. JainMatrix Investments has had super success with the LC and MSC Model Portfolios over the last 5 years. Our experience of researching over 100 firms in the last 3 years has thrown up a number of exciting stock finds. Given the recent environment changes, we re-evaluated these firms (outside of LC and MSC) and picked the best opportunity 7 firms in terms of projected stock performance to create the Satellite Model Portfolio. It has 7 High Quality Investment Ideas with a 2 to 2.5 year Investment Horizon. This is an independent, Multi-Cap Portfolio with firms from different sectors. This Opportunistic portfolio is chosen on the basis of deep fundamental research and High Conviction by the JainMatrix Research Analyst. As Subscribers, you will receive the list of 7 stocks with 2.5 years Target prices and introduction notes outlining them and providing the key reasons why we like them. We will also monitor and maintain this Portfolio and guide you on your Investment in it. IPO/ FPO/ OFS/ NFO reports based on opportunities. Periodic updates on the Satellite Model Portfolio with any change in stocks if required. The subscription will be initiated with a welcome call for introductions and Service detailing. Pricing can be checked on Pricing and Payment Options page. Its an independent ValuePack offering for new investors. For bigger investors it can be the satellite portfolio with innovative new ideas. Take advantage of the Fall of the markets of Feb-Mar 2018 and invest in this high potential Satellite Model Portfolio. JainMatrix Investments is a boutique Investment Advisory firm for Indian stock markets. Our original equity research identifies investment target firms with high conviction, and the easy to read reports make investing simple. The research process is thorough, and the opinions independent, honest and direct. And sharply focused on investment returns and wealth building for the long term. Our subscribers trust us to provide stock entry and exit calls, tracking, guidance and personal support. We have provided excellent advisory services for over 5 years; Our Investment Service (Core Portfolio) has fetched outstanding results over this period. (See Track Record). This service and related documents have been prepared by JainMatrix Investments Bangalore (JM), and is meant for use by the recipient only as information and is not for circulation. These documents are not to be reported or copied or made available to others without prior permission of JM. It should not be considered or taken as an offer to sell or a solicitation to buy or sell any security. Neither JM nor any of its affiliates, its directors or its employees accepts any responsibility of whatsoever nature for the information, statements and opinion given, made available or expressed herein or for any omission therein. Recipients of this report should be aware that past performance is not necessarily a guide to future performance and value of investments can go down as well. The suitability or otherwise of any investments will depend upon the recipient’s particular circumstances and, in case of doubt, advice should be sought from an Investment Advisor. Punit Jain is a registered Research Analyst (SEBI Registration No. INH200002747) under SEBI (Research Analysts) Regulations, 2014. JM has been publishing equity research reports since Nov 2012. Any questions should be directed to the director of JainMatrix Investments at punit.jain@jainmatrix.com. Me: Mr ABC, how are you? Me: Great. Mr ABC, its been one year since you signed up for our service. How has been your experience? ABC: Good, good. I would like to find out about company DEF and company GHI from your Model Portfolios. Me: I can also see that your portfolio is doing quite well, it is up 28% overall in the last year. Congrats. ABC: Yes it has done well. In fact I must tell you, it is the first time in my investment experience that a company recommended to me, that I bought, has appreciated 100% within the last year. I refer to the company LMN. Good job. Me: Thank you sir. Yes LMN has done well. ABC: What do you think about LMN now? Me: It is still a BUY even at these levels, the 2 year outlook from here is very good. It will continue to appreciate. Don’t worry that it has risen too much. ABC: I am really happy with the service. Me: Ok ………. let me see your portfolio …… But sir, you can see stock PQR, it is not doing so well. It is down 25% from your purchase price. ABC: No, no. I am not worried about PQR. In fact I have recently bought more of PQR at these lower levels, it is still to be updated in the portfolio. Me: OK. What about stock STU. This is down 19% in your portfolio from your buying price. ABC: No, no problem, it will come back. In fact I expected at least 3-4 of your recommended portfolio to tank and fall sharply, as normally happens with most equity portfolios but happy to note no such problem here. Me: Excellent sir. So why don’t you renew the subscription for another year? ABC: Sure, I am renewing and you will get the fees by tomorrow. JainMatrix Investments is a premium Investment Service for Indian equity. We build wealth with advise on direct equity purchases for the long term. Its the best way to get great returns, lower costs and yet be in control of your own portfolio. We created two Model Portfolios nearly 4 years ago, with some good stock picks at the time. We have been monitored these companies, removing non performers and introducing new picks, to give you two outstanding Model portfolios that are creating great wealth for subscribers. Today we share and update on the Track Record for the JainMatrix Model Portfolios. See the compilation of performance of the Model portfolios from JainMatrix Investments. The market has been volatile in the last 3 months. However, JainMatrix Investments continues to do well on its recommended model portfolios. We have a portfolio universe of 50 stocks, the finest firms from our research over 3-4 years. The JainMatrix Mid & Small Cap Multi-bagger Model Portfolio gave 28% annualized returns over 46 months, compared to CNX Midcap (20%), S&P BSE Midcap (19.8%) and S&P BSE Smallcap (19.8%) over same period. It outperformed by 8.0% simple annualized. On a CAGR basis the outperformance was 2.8%. The best performing Mid or Small Cap mutual fund gave 33.4% returns in this period. We are in the top 5% (source Value Research) of 78+ funds. Absolute performance levels have fallen, but our portfolios offer the best way to invest in the current scenario. The JainMatrix Large Cap Retirement Model Portfolio gave 15.7% annualized returns over 47 months, compared to Sensex (9.4%) and Nifty (9.8%) over the same period. It outperformed by 5.9% simple annualized. On a CAGR basis the outperformance was 2.5%. The best performing Large Cap Mutual Fund in this period gave 17.2% returns, out of 150+ funds. This portfolio is again in the top 5% of these mutual Funds. (source Value Research). Our IPO reports have a high success rate and have helped identify winners. Subscribers also receive valuable Listing Day – buying range advise on IPO picks, so that they can take large positions, as allotments may be limited to 1-2 lots. Our sectoral and economy notes help develop long term thinking after events like demonetization and other events. Sign up for the JainMatrix Investment Service to take the right decisions, whatever the event, in your investing journey. .. This document has been prepared by JainMatrix Investments Bangalore (JM), and is meant for use by the recipient only as information and is not for circulation. This document is not to be reported or copied or made available to others without prior permission of JM. It should not be considered or taken as an offer to sell or a solicitation to buy or sell any security. The information contained in this report has been obtained from sources that are considered to be reliable. However, JM has not independently verified the accuracy or completeness of the same. Neither JM nor any of its affiliates, its directors or its employees accepts any responsibility of whatsoever nature for the information, statements and opinion given, made available or expressed herein or for any omission therein. Recipients of this report should be aware that past performance is not necessarily a guide to future performance and value of investments can go down as well. The suitability or otherwise of any investments will depend upon the recipient’s particular circumstances and, in case of doubt, advice should be sought from an independent expert/advisor. Punit Jain is a registered Research Analyst and compliant with SEBI (Research Analysts) Regulations, 2014. Any questions should be directed to the director of JainMatrix Investments at punit.jain@jainmatrix.com.